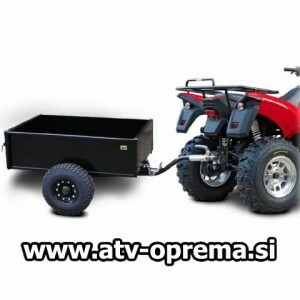 Non - homologated ATV Trailer with flip up dump bed and removable rear board. For all ATV´s equipped with standard ball tow hitch ISO 50. Trailer is not allowed for public roads.